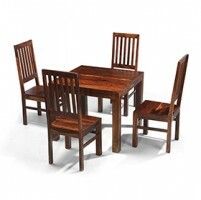 Expertly crafted in India from beautiful and strong, dark-hued sheesham wood, the table in this set will look lovely in your kitchen or dining room and is ideal for everyday dining and all the other activities we use them for these days. 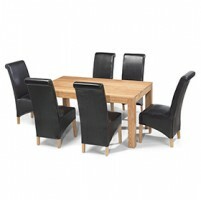 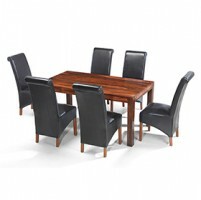 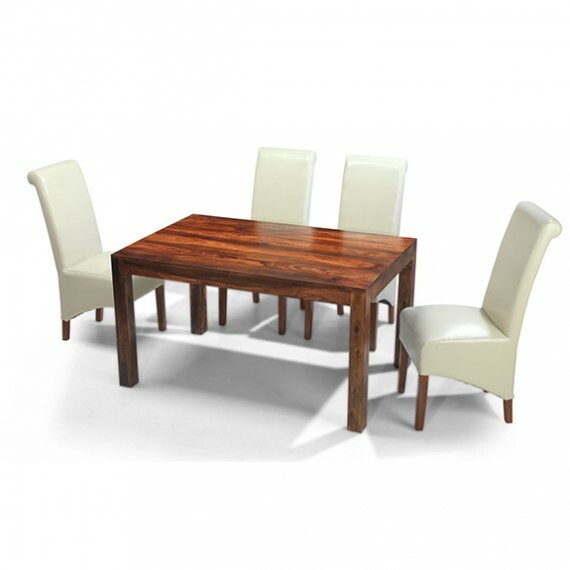 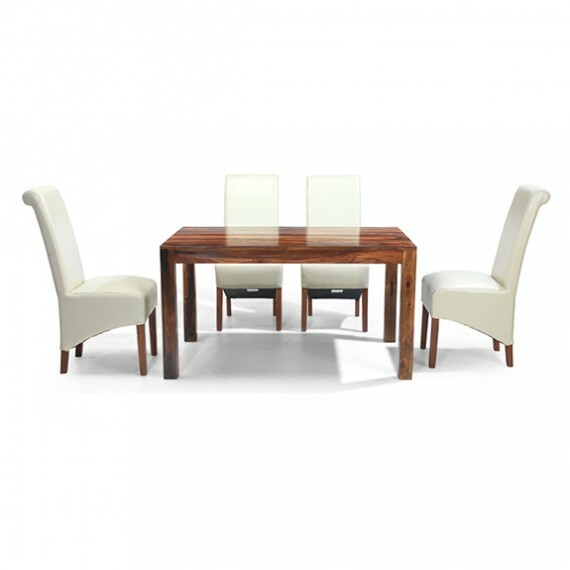 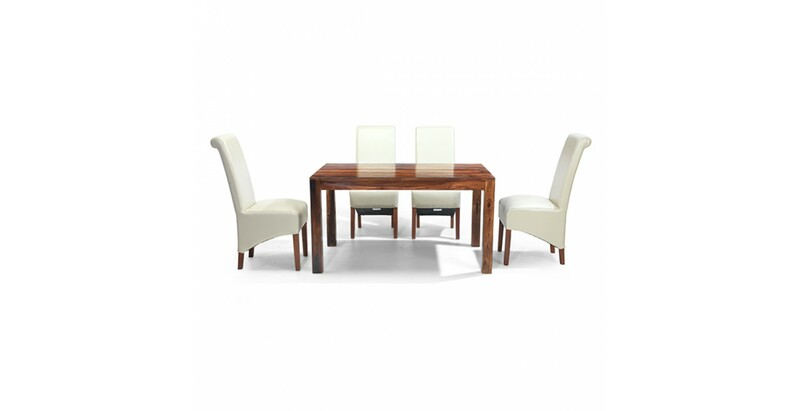 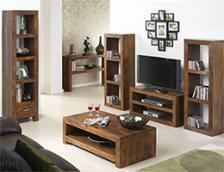 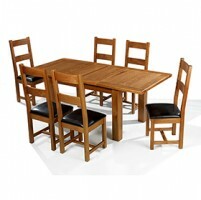 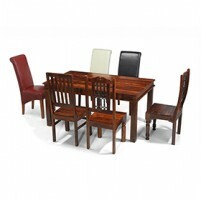 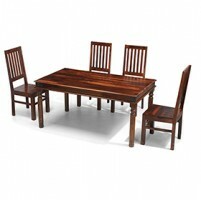 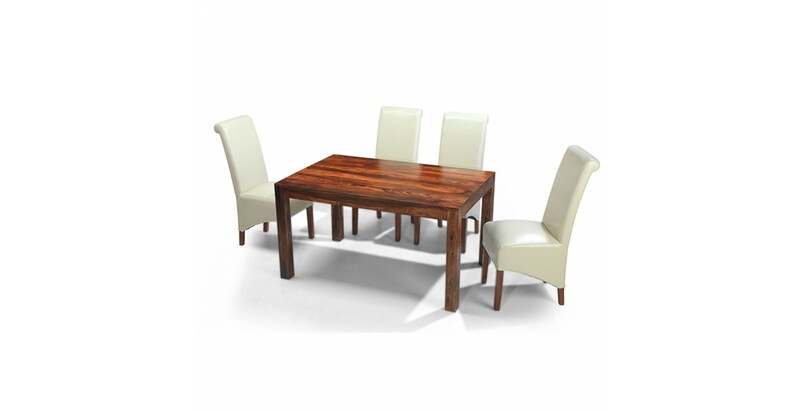 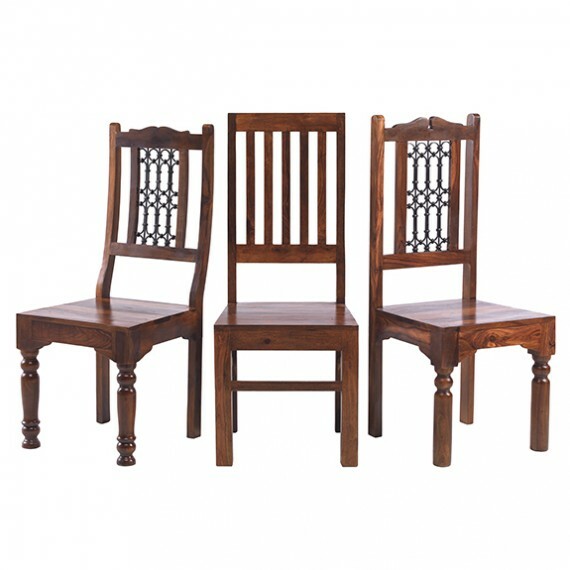 And it will really look something with a set of our complementary dining chairs. 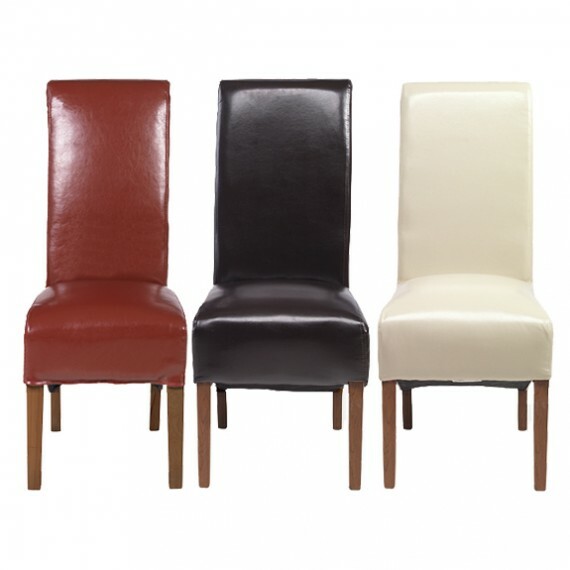 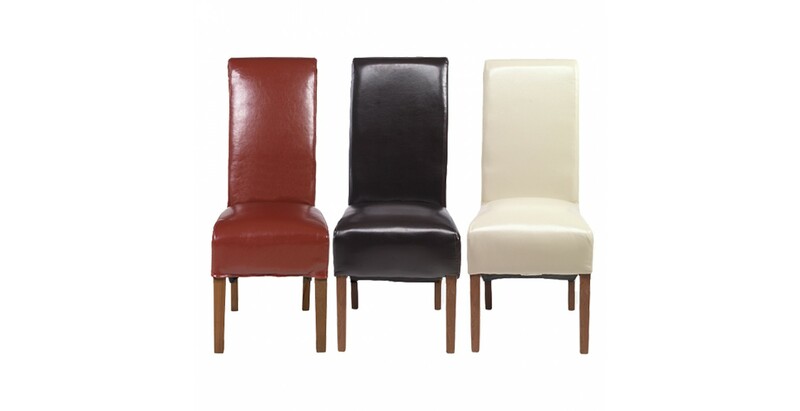 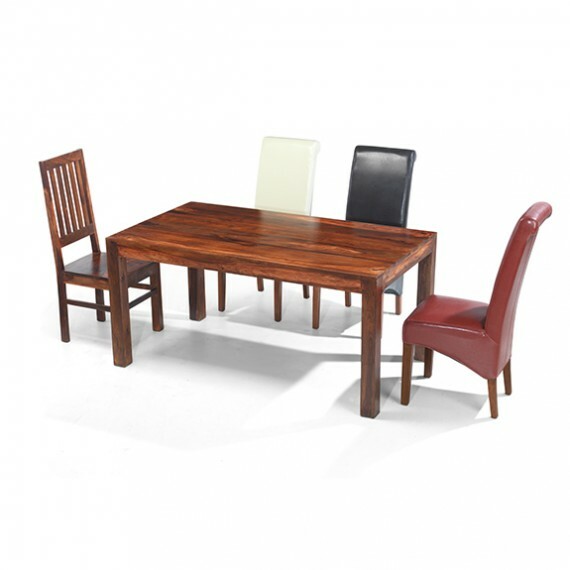 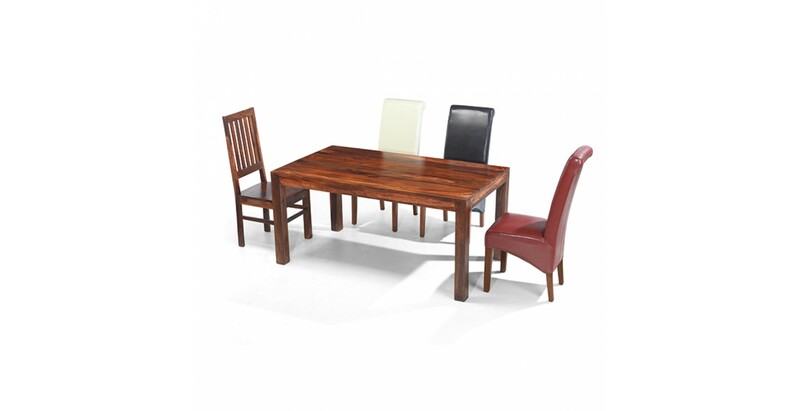 Choose from our supremely comfortable bonded leather chairs in red, brown or beige, or our more minimal Cuba Sheesham High Back Slat Chairs. 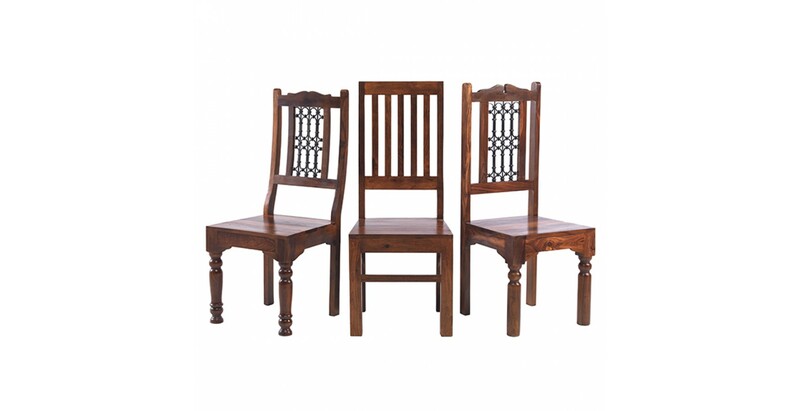 Or to go a bit more decorative, opt for our Jali Sheesham High or Low Back Ironwork Chairs.